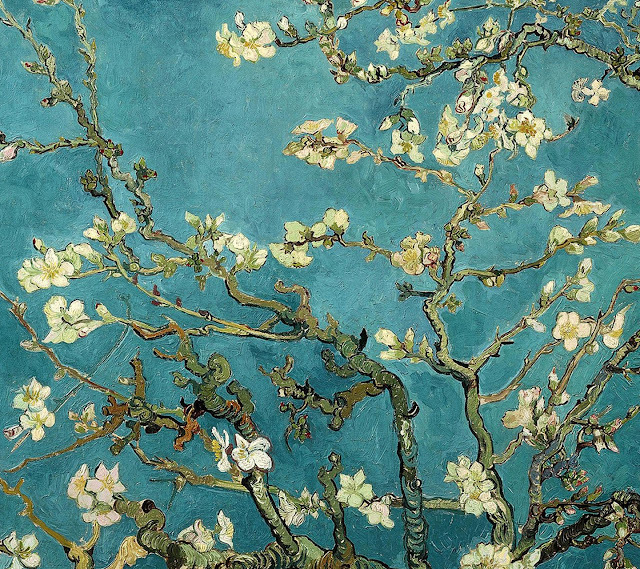 Infinite Art Tournament: The Semi-Finals: van Gogh v. Grimshaw! Last weekend was the first weekend of an odd-numbered month, but there was no semifinal match. "No one will even notice," I told Mrs.5000, a few minutes before the horrified text from Tournament enthusiast Chuckdaddy. Here, to right the wrong that was done, is the Fifth Round match that should have gone down one week ago. Advanced against Cubist Juan Gris in Round 2. Stunned Venetian master Francesco Guardi in Round 3. Took down Dutch master Frans Hals in Round 4. Matt Reilly, via FB, says "Moonlit schmoonlit. Grimshaw is going down!" 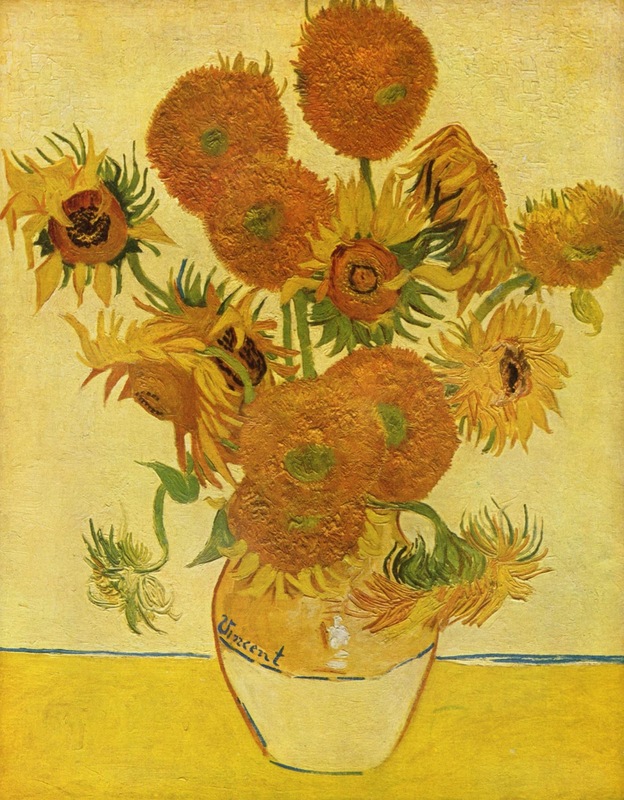 which we can infer is a vote for Van Gogh. At last a match I don't have to agonize over. Totally van Gogh. In contrast to Mrs. 5000, I definitely think this is a match worthy of the semi-finals. 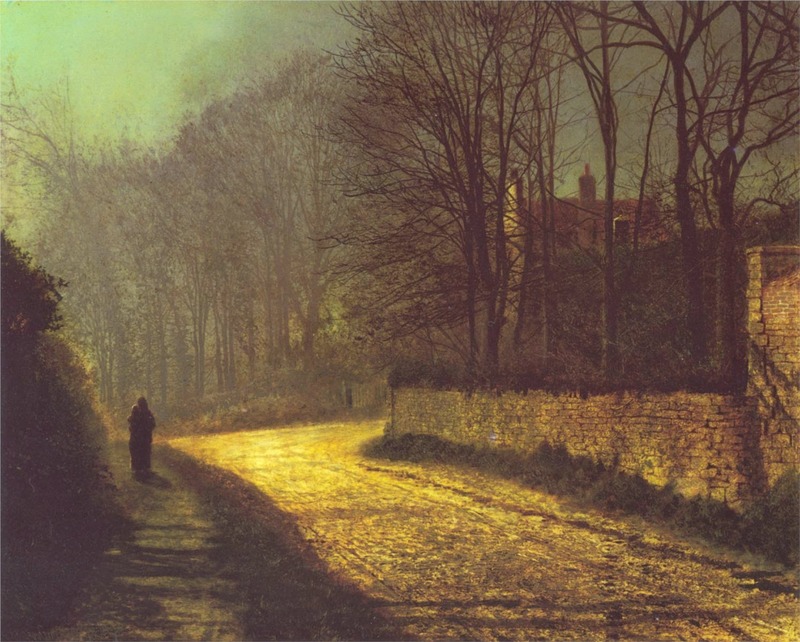 I like van Gogh's use of color, and I like how Grimshaw's skies draw me in. 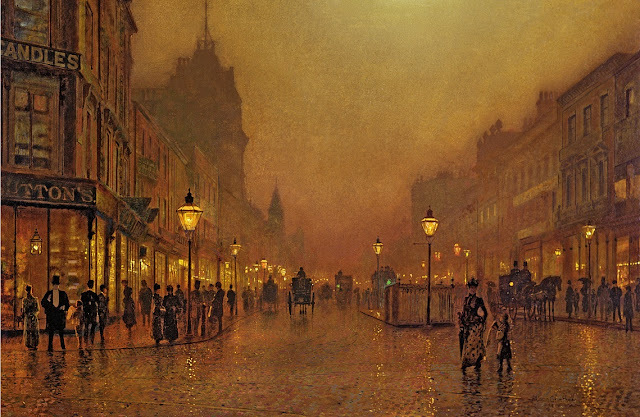 I'm in a Grimshaw mood tonight, but I think it could swing either way. 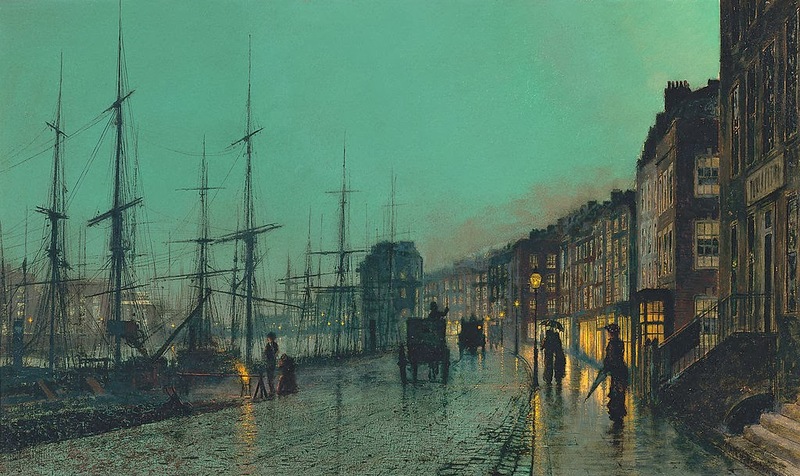 I really like Grimshaw, but he is overmatched in this one. I'll give it up for Grimshaw. 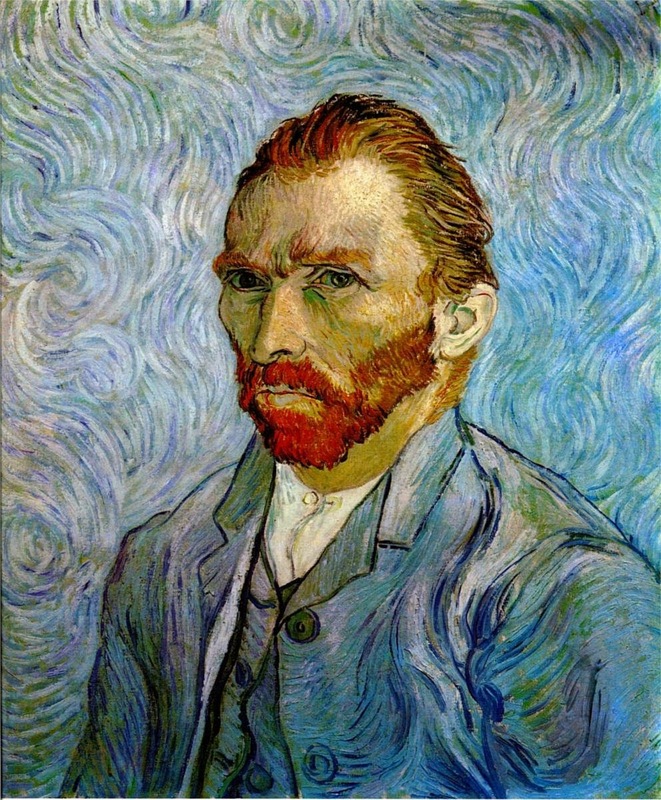 I like 'em both, but I have to vote for Van Gogh. I really like Grimshaw and am quite tempted to vote for him. But I can't quite do it. Van Goggghhh it is. 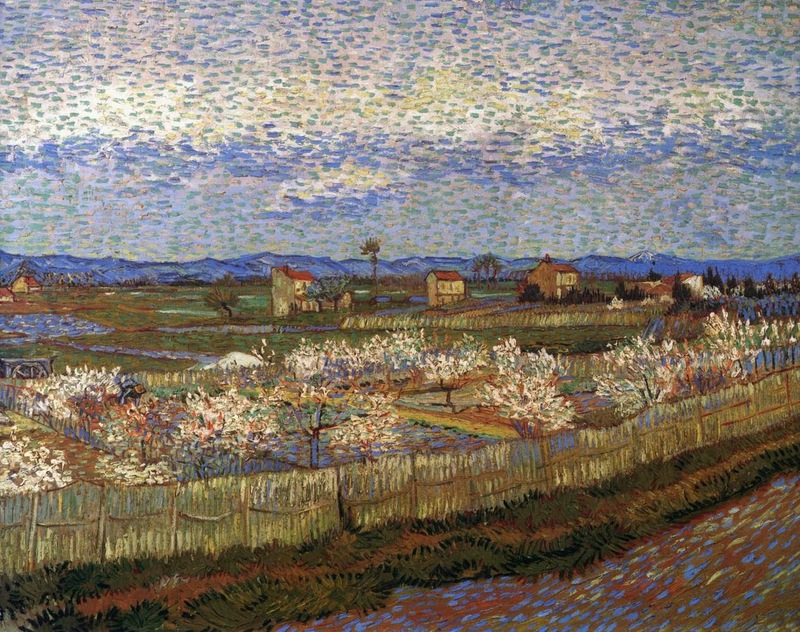 My vote is for Van Gogh, by a factor of about six million. I do really like Grimshaw, and based on seeing the pictures on a computer screen, I might've voted for him. 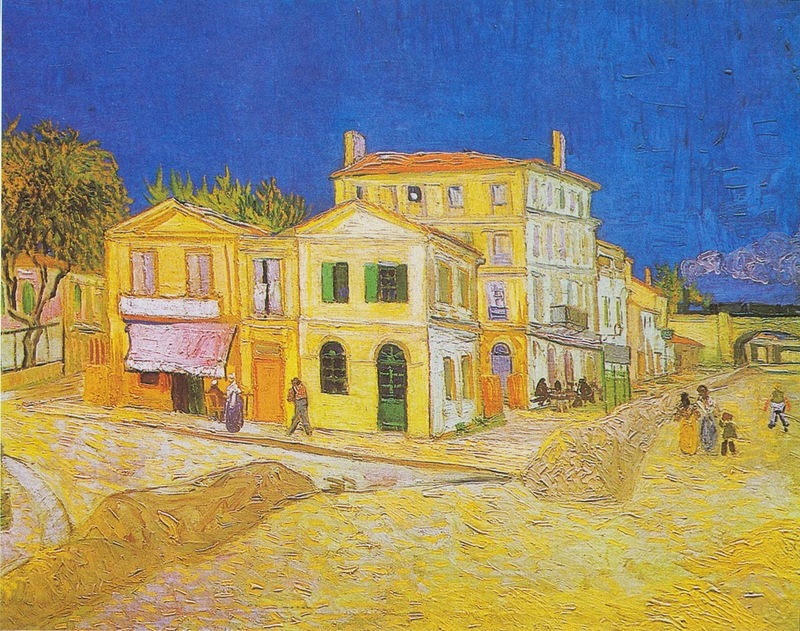 But every time I've been in a room with a Van Gogh, I've ended up getting sucked into it (even when I didn't recognize them as his), so I'm going with Van Gogh. You know what? 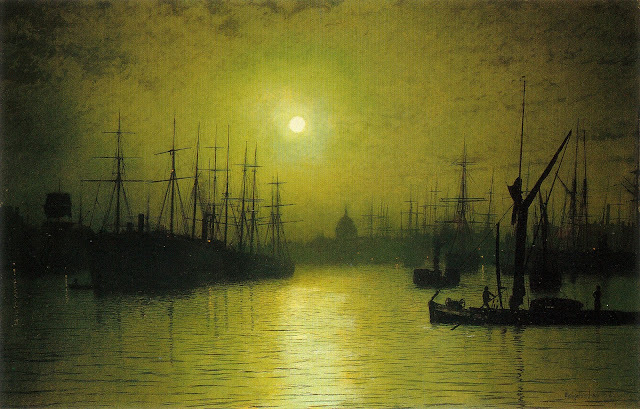 I'm going to back Grimshaw. The votes are counted! Van Gogh received eight of them! Grimshaw took four of them! Which means that van Gogh will be taking on Eakins in Round Six, and Grimshaw will move on against the winner of the Gentileschi/Feininger match.